Caroline's father was a keen photographer in the 1950's and 1960's. Caroline has been inspired by viewing 100's of his images taken on his beloved Zeiss Ikon Contina Camera. His love of the view through a lens certainly lives on in her work. 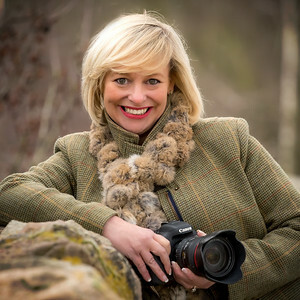 Caroline's main work is commercial with adverts for DLS Independent Land Rover Centre, Fletcher & Company Estate Agents, Raleigh UK, Berkley Inns, Graham Penny, Front cover and articles for Self Build and Design Magazine, Orijen and Acana dog food and many more. Images have also appeared in Good House Keeping Magazine, The Field, Derbyshire Life and Coast. In 2015 she was placed 2nd in the Dog Photographer of the Year competition. No mean feat as it is a global competition and had 13,000 entries. Her image was used as the back drop for Channel 4's coverage of Crufts. 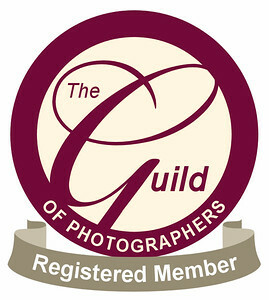 Caroline has achieved many awards for her fine art portraiture coming 10th in the International people category with The Guild of Photographers in 2017 and also gaining the Photographers Bar in children and adults portraiture with the Guild in the same year.